The Theory of the Astronomical Transit Instrument Applied to the Portable Transit Instrument Würdemann No. 26 A Compilation from Various Authorities with Original Observations. 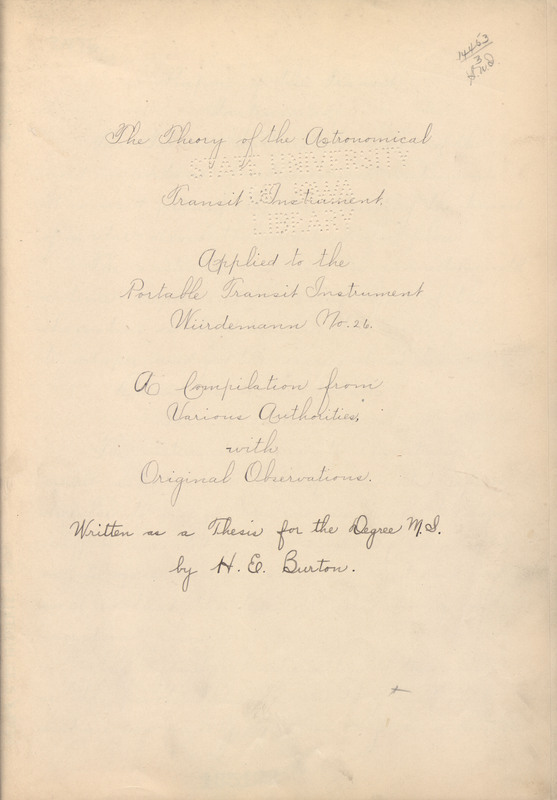 Written as a Thesis for the Degree M.S by H.E Burton.